This wall-mounted bath or basin filler is the perfect encapsulation of the essence of the Bollicine range. Pared back almost stark design that makes a discreet statement in any bathroom has been achieved in faucets which also offer superb function and ease of operation. Here, this simple three-piece set includes a streamlined, wide-mouthed mixer for rapid filling and separate hot and cold-water taps. Its elegant simplicity is perfectly co-ordinated with the smooth cylindrical tap mounts which proffer tapered, lever-like tap handles for finger-tip control – another hallmark of this range. Simply lift and rotate to achieve the desired water temperature and flow rate. The Italian design of Bollicine is enhanced by high quality manufacture using quality components such as the ceramic disc valves which ensure long-life performance. 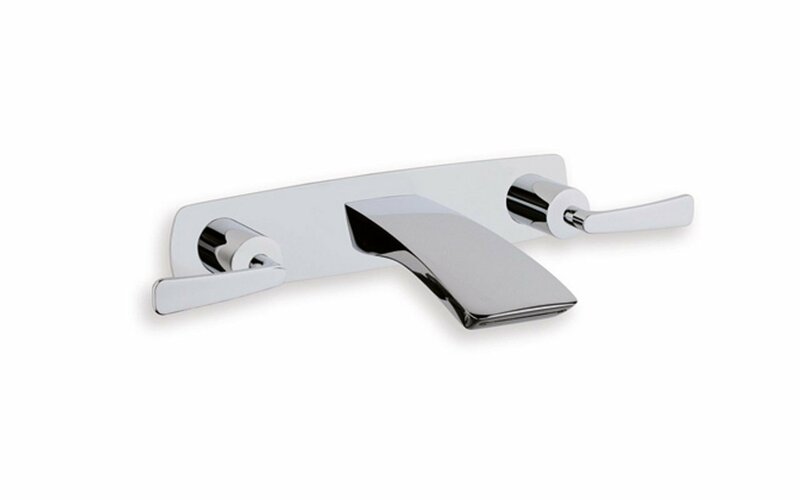 The whole is completed by a beautiful chrome finish which matches any bathroom décor.